At last the long-promised pictures of some of my pearl necklaces where I have combined stranding on silk with sterling silver and/or vermeil (=goldplated silver) spacer beads. 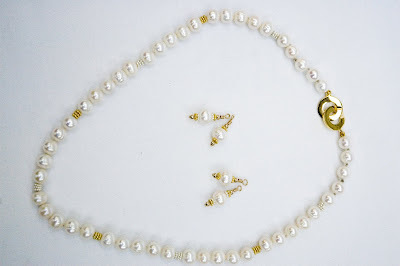 The pearls still drape beautifully and the precious metals add a touch of class without over doing it! 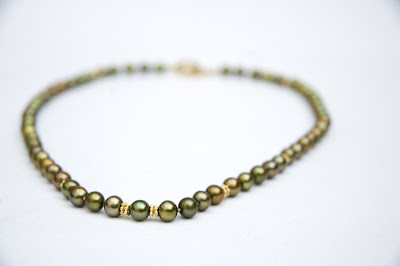 The olivy-bronzy pearls have been interspersed with lovely vermeil spacers which add extra light and sheen. 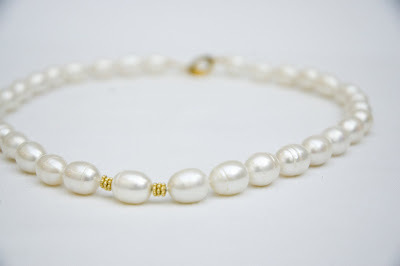 This is a really classy jumbo rice pearl necklace with just a touch of gold at the front, as well as the lovely gilt silver C-clasp which is like the one on the following potato pearl necklace. Here I have used a gilt silver clasp and alternated sterling silver and gold filled bali-type spacers. 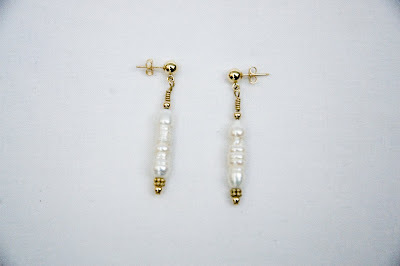 The pearls for the earrings have not had the finishing ear hook attached yet. 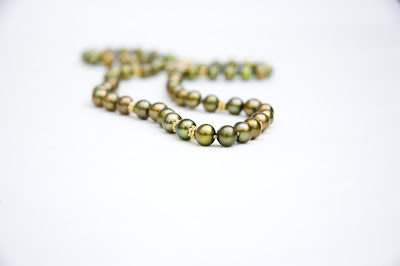 I love these long squiggly pearls, they are fun and hang beautifully from the 14K gold filled posts with ball. 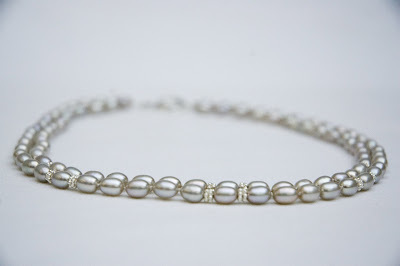 The silver spacers are very subtle in this two-strand champagne pearl necklace.